Disease, injury, and death inevitably accompanied the original inhabitants of the Los Angeles plain, for which they had evolved a complex medicine of spirit and body, making use of the indigenous flora, the wisdom of traditional healers, and the power of belief. Colonists from Spain and Mexico brought their own healing traditions, some of them not far removed from the practices of Native Americans. The first American physicians and pharmacists of Los Angeles brought a radically different set of beliefs about illness and its cure. At the border of three world views – native, colonial, and Anglo – medical care in Los Angeles by the 1850s blended empirical science, European and native folk traditions, and a large dose of medical hucksterism. Pre-Colonial Los Angeles. The Chumash and Tongva response to illness and the challenges of disease prevention were imperfectly understood by the mission friars who recorded the first encounters between Europeans and Native Americans in the late 1700s. The goal of the missions was to Christianize native peoples and convert them into a settled peasantry. The friars assumed that the healing practices of powerful village shamans, blending physical and spiritual elements, were diabolical. These were forbidden to the newly converted. But village wise women, familiar with the healing properties of roots and leaves, continued to treat the sick. Village healers culled the hillsides and arroyos for their remedies. Yerba mansa (Anemopsis californica) was prominent among them, the processed root used as a body rub for the treatment of wounds and skin conditions and as a tea for pulmonary and gastro-intestinal complaints. Chuchupate (Lomatium californicum), an aromatic root, carried both medicinal and magical properties. Wearing a bit of the root warded off rattlesnakes. Chewed, the root relieved headaches. Decocted as a tea, it soothed upset stomachs. The leaves of California laurel (Umbellularia californica) were thought to cure headaches. Made into a poultice, they healed wounds. Gum Weed (Grindelia robusta), which in the 1890s was still “tolerably common on the moist slopes in Elysian Park and the districts around Los Angeles,” produced a milky substance used as an expectorant for coughs and as an asthma remedy. Poison Oak (Toxicodendron diversilobum), dried, powdered, and made into a moist plaster, was spread on wounds and cuts. Amazingly, poison oak also was steeped as a tea to treat diarrhea. Teas of leaves and bark, poultices of powered roots and leaves, and therapies that included aspects of bloodletting and cupping, along with sessions in sweat lodges, supported the health of pre-colonial Los Angeles. With efficient dispatch, native healers also reset broken bones and relieved sprains with binding and immobilization of the injured arm or leg. Specialized shamans – using tobacco smoke, cupping or bloodletting, even red ants – dealt with both physical and emotional disorders with the aid of guided dreaming and drug-induced visions. Crespi was the first booster of Southern California’s healthy climate and lifestyle. Behind the sunshine and the cheerful demeanor, however, lay a history of endemic disease, including tuberculosis and bacterial infections, that had long ago reached the Los Angeles plain on native trade routes from Mexico and mid-America. Intermittent contact with Spanish sailors and English pirates probably transmitted other diseases – measles, smallpox, and cholera among them – that led to the collapse of some island and coastal villages in the 17th century. Worse effects would follow in the footsteps of Portola and Crespi. Colonial Los Angeles. The California mission system, begun by Fr. Junípero Serra in 1769, was (apart from its other evils) a medical catastrophe. Denied access to traditional therapies, often confined to gender-segregated dormitories at night, made to labor, and fed an unfamiliar diet, hundreds of Chumash and Tongva died from measles, smallpox, dysentery, influenza, typhoid fever, tuberculosis, and pneumonia. The Franciscan fathers attempted to treat these outbreaks without the aid of trained physicians. At the San Gabriel mission, the missionaries gathered remedies from gardens that contained Spanish transplants, medicinal herbs from Mexico, and California native plants. European medicines came from the army surgeons who served at the presidios in San Diego and Monterey. Each mission also had an infirmary for the sick and some had an infirmarian, a caretaker whose medical knowledge was hardly greater than the Native Americans whose illness he treated with teas and poultices. Not all colonial-era treatment was so homespun however. Smallpox inoculation began as early as 1786 in Monterey. Yerba del Golpe. In colonial Los Angeles, the leaves and seeds of the primrose were made into a poultice for treating bruises and scrapes. Photograph courtesy of Wikimedia. By 1820, demographic collapse caused by European diseases had unraveled Chumash and Tongva society. Syphilis, gonorrhea, and despair caused birth rates among the mission neophytes to plummet. By 1826, the fertility of young women living at the Santa Barbara mission fell to less than half of what it had been in the 1780s. Deaths among infants and young children rose in parallel with the declining number of births. Young Tongva women, shut up nightly in crowded dormitories that bred disease, died in disproportionate numbers. The health crisis was not confined to the mission grounds. Neophytes frequently escaped back to their home villages, taking European diseases with them. Increased contact with colonists and soldiers from Mexico after 1800 kept epidemic diseases like smallpox in circulation. A newly fluid population, traveling through urban centers like Los Angeles, spread sickness. As witnesses to so much illness, the missionaries concluded, in a rebuff to Crespi’s observation of cheerful and robust natives, that the climate of California bred the sickly, the weak, and the malingering. The harmful qualities of the environment even afflicted non-natives, the padres feared. Reports to their superiors in Mexico City routinely complained of serious health problems among the missionaries and government officials. Assignment to California was sure to result in chronic illnesses and emotional disorders. Disease and efforts to control it troubled the mission system as long as it persisted. There were so few doctors. From the 1770s through 1823 by one estimate, only 14 visiting physicians were sent to California to assess the health of mission neophytes. There were fewer army surgeons, and they rarely treated non-military cases. There was no trained doctor in Los Angeles. One had practiced briefly in 1836. John Marsh, a native of Massachusetts and a graduate of Harvard, presented himself to the excelentísimo ayuntamiento (city council) along with his diploma. It was in Latin and needed the services of a priest at Mission San Gabriel to assert that it was correct. The council accepted Marsh’s credentials and licensed him to practice, but Marsh stayed only a year. When the city council required medical advice in 1837, it turned to Santiago McKinley, a Scots merchant, who was said to have some knowledge of medicine. John Marsh. Marsh became the first American in colonial-era Los Angeles to practice medicine, arriving in January 1836. Photograph courtesy of Wikimedia. Without a doctor to deal with a smallpox epidemic in 1844, the council issued instead a list of public health rules. Among them: refrain from eating peppers and spices, wash salted meats, bathe at least once every eight days, and burn sulfur on a hot iron to fumigate sickrooms. The council also ordered travelers to stay outside the pueblo and in quarantine for three days, during which time their clothes must be washed. Only the quarantine would have had any effect on the spread of the disease. In the aftermath of the epidemic, leading Angeleños sought a licensed physician who would remain in residence. They found one in Dr. Richard Den, a Santa Barbara surgeon who had been educated in Ireland. Den was the first physician to make Los Angeles (more or less) his home. Den provided care for Angeleños who could afford his fees. Most couldn’t and depended on a local tradition for cures and remedies. These included preparations of Mexican medicinal herbs, the application of European imports (honey, olive oil, wine and brandy), and the use of healing plants identified by the Tongva. The information exchange went both ways. Native and pueblo healing practices became increasingly alike in the 19th century and equally dependent on imported ingredients and medicinal plants introduced from Mexico. Seventy years or more ago … in every small village or pueblo there was the vieja, whom everyone respected and consulted, and who dispensed with a lavish hand her various herbs, which she had gathered, dried and put into safe-keeping for future use. A call from a fever patient hastened her with a package of saúco [Mexican elder, Sambucus mexicana], which she made into tea and administered at stated intervals, until relief came in the shape of a profuse perspiration. … For cancer she made a poultice of the pounded leaves of totoache (sic) [Jimson Weed, Datura wrightii] which removed cancerous growths if applied in time. … If in the annual rodeo a vaquero was thrown from his horse or otherwise bruised, he was removed to his home and yerba del golpe [Evening primrose, Oenothera rosea] applied to his contusions. What had been a called a treacherous, unhealthy environment for both Christian neophytes and missionaries in 1800, was, at the beginning of the American period, redefined as culturally debilitating. Medicine in Anglo L.A. The Tongva believed that disease was both physical and spiritual. European colonists thought disease was an upset in the humors that ruled both temperaments and physical states. American doctors relied on medical science (as they understood it). To be healthy in Los Angeles – and stay that way – required Angeleños to align different theories of disease, resist the effects of the climate, and have faith in the claims of the newly professionalizing practice of medicine. Dr. Den was joined in 1854 by Dr. John Griffin. He had first come to California in 1846 as a military surgeon accompanying the Army of the West under General Kearny. He was stationed in Los Angeles during the last phase of the Mexican-American War and at the start of the city’s Americanization in 1847. After other army postings, Griffin relocated to Los Angeles and began a long career that included treating patients at the city’s only hospital, established by the Daughters of Charity religious order in 1858, and founding the county’s medical society in 1871. (T)here were doctors A. P. Hodges, the first mayor of the city (July 3, 1850, to May 15, 1851) and A. W. Hope, who was the first state senator, (1850-51) of the First Senatorial District (San Diego and Los Angeles), and doctors McFarlane, Downey (afterwards governor of the state), Thomas Foster, T. J. White, R. T. Hayes, Winston, Cullen, etc. …. My friend, Mr. Elijah Moulton, who came to Los Angeles in 1845, informs me that he knew two other doctors, who practiced here for a short time between '45 and '49: one of them a Frenchman … and an American named Keefe. The Frenchman's name has been forgotten. Barrows later recalled the careers of two physicians who published a circular in English and Spanish announcing their fees. For an office prescription, they charged $5; for a day visit in the city, $5; for a night visit in the city, $10; and for a visit in the country, for each league, $5. Treatments included bleeding ($5) and cupping ($10). Dr. Den claimed never to accept less than $20 for his professional services. Frontier Medicine, 1865. Bone saw, tourniquet, scalpels, and other implements were standard equipment in a mid-century medical kit. Photograph courtesy of Wikimedia. Every mother did more or less doctoring on her own account, and had her well-stocked medicine-chest. Castor oil, ipecac, black draught and calomel were generally among the domestic supply. The practice of surgery was also very primitive; and he was unfortunate, indeed, who required such service. Operations had to be performed at home; there were few or none of the modern scientific appliances or devices for either rendering the patient immune or contending with active disease. Native American healing had sought to balance a disorderly internal state. Anglo medicine generally sought to expel offending conditions from the body. Castor oil (Ricinus communis) and black draught (a mixture of senna and other ingredients) are powerful laxatives. Calomel (mercurous chloride) is a laxative and highly toxic. Ipecac (prepared from the roots of the Carapichea ipecacuanha plant) induces vomiting. Doctors and druggists (often the same person in mid-19th-century Los Angeles) sold calomel to treat cholera, fevers, and abdominal pain. 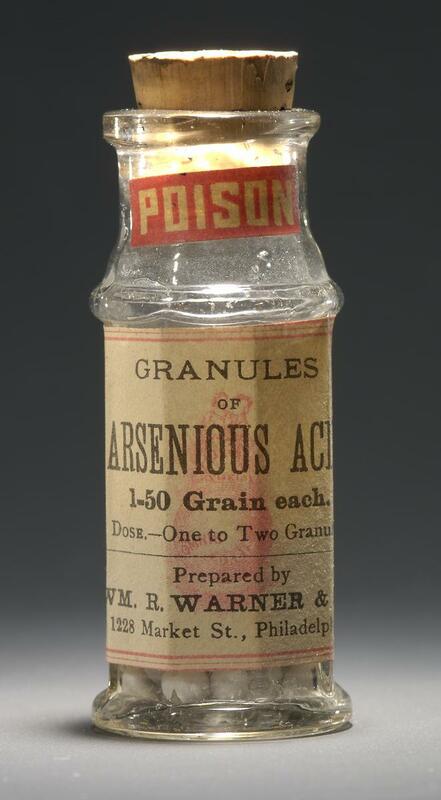 Sugar of lead (lead acetate) was another toxic treatment for intestinal complaints. Blue Mass pills, generally containing about 33 percent mercury, were prescribed for tuberculosis, constipation, toothache, parasitic infestations, venereal diseases, labor pains, and depression. When new patent medicines made their way West in the 1860s, sick Angeleños dosed themselves with “bitters” of herbs and roots and “tonics” with opium or morphine, both mixed with liberal quantities of alcohol. Less toxic preparations included asafetida, a pungent herb used for bronchitis, whooping cough, and the flu; peppermint oil for intestinal upsets; oil of cloves to relieve toothache, camphor for pain and itching; and capsicum (red pepper) in the form of a lotion to reduce the pain of arthritis and shingles. Health Seekers. Preparations with mercury and decoctions herbs produced the visible physical effects that sufferers wanted and expected – immediate and sometimes painful effects – ameliorated only by the use of opiates. Physicians understood their patients’ desire for fast-acting medicines and the harmful effects they could produce. In reaction, doctors and patients both began to see Southern California itself as a remedy for illness without the side effects of purgatives and patent medicines. Doctors Joseph Widney and Henry Orme, on behalf of the county medical society (and at the request of the 1874 equivalent of the Chamber of Commerce), laid out a table of diseases for which Southern California would be the cure. For the worried well with a “delicate constitution,” Los Angeles provided an easeful lifestyle. Consumptives in the early stage of tuberculosis might be made whole (or at least their children would be free of the disease). Other chronic lung diseases responded too, but treatment would require the advice of a physician (since the micro-climates of Southern California were each effective but for different conditions). Malaria sufferers were advised to live at the beach. Asthmatics would find the air of the local tar pits or the mountain pines beneficial. And “cases of nervous prostration, and all the innumerable train of tormenting ills that come to an overtaxed or deranged nervous system” would be healed by the air and sun of an outdoor life (which also would remedy bladder and kidney complaints and the effects of arthritis and rheumatism). The redemption of Los Angeles as a place of universal good health required tolerance for a paradox of environmental determinism. To homesick missionaries and Spanish colonial officials in the 18th century, Southern California had been a uniquely unhealthy place. The malign environment equally explained the “degraded” state, as defined by the colonizers, of the region’s original inhabitants. Anglo occupiers of Los Angeles after 1850 generally agreed with this assessment, but included their Mexican-American neighbors in the class of those “degraded” by the qualities of the climate. Yet the qualities that brought out the physical and cultural inferiority of these Angeleños made sick Americans more robust. Southern California had once bred disease among isolated Spanish missionaries. It lulled Native Americans and mestizo laborers into idleness. What finally made Southern California healthful, according to the doctors’ committee, were its new possessors. The virtues of the environment could only be realized now, under an Anglo sun. Health “is not across the ocean or upon some foreign shore, where the invalid is an alien or a stranger, but within our own land, under our own flag, and among our own people.” Los Angeles became a city of healing for sick Americans when Los Angeles was made white.
. California experienced smallpox epidemics in 1828, 1838, 1840, and 1844.
. Despite the impressive Latin, Marsh was not a graduate of any medical college. He had briefly apprenticed with a physician in the mid-1820s, an accepted form of medical education at the time.
. In 1844, the Mexican Congress ordered that physicians must present documentary proof of their qualifications to the city council or the municipal tribunal. The regulations also set fees for service and the price of medicines.
. The dates of Dr. Den’s arrival in Los Angeles and his intermittent residence vary in different sources. He seems to have been in Los Angeles until 1854 and gone from the city until 1866, when he became a permanent resident.